Step 1: Login your business PayPal account at https://www.paypal.com/. 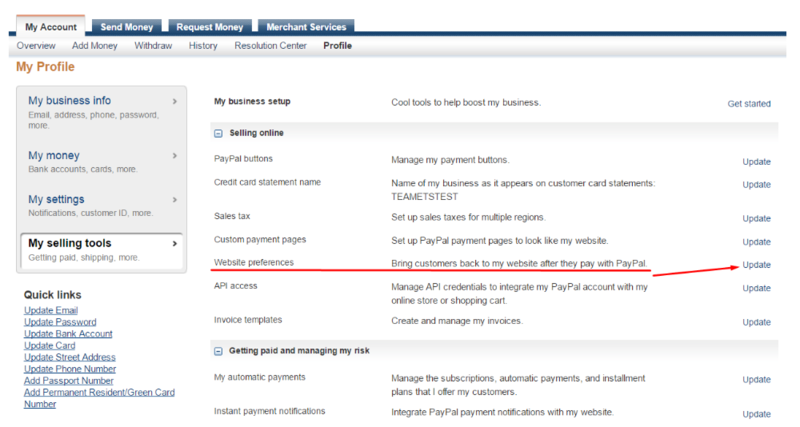 Note: You must use PayPal Business account to log in since Personal accounts do not have this option. Step 2: Click on the Profile subtab under My Account. Step 3: Under the Selling online section, click the Update link to the right of the Website preferences. The Website Preferences page appears. 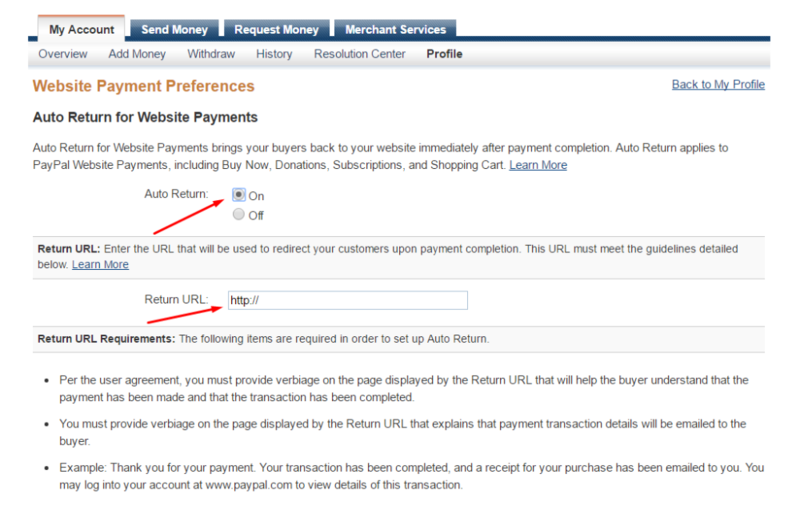 Step 4: Under Auto Return for Website Payments, select On radio button to enable Auto Return. Step 5: Enter the URL that will be used to redirect your buyers after successful payments in the Return URL field. Note:This URL is not important because URL Return has already been set in the code of the theme. You can enter http://yourdomain.com into Return URL instead. Step 6: Scroll to the bottom of the page, click the Save button to complete your changes. 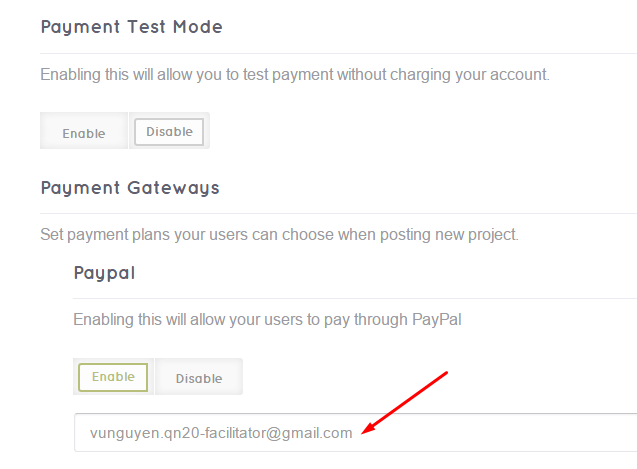 Step 7: Finally, you use this PayPal account to set as PayPal email in your site ( Engine Settings > Settings > Payment > Payment Gateways > PayPal).